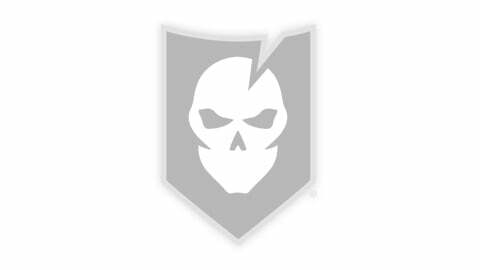 The suspense that’s been killing some of you is finally lifted! 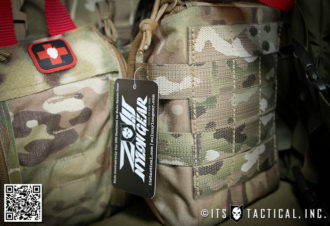 We’re stoked today to announce our ETA Trauma Kit Pouch made exclusively for us by Zulu Nylon Gear! 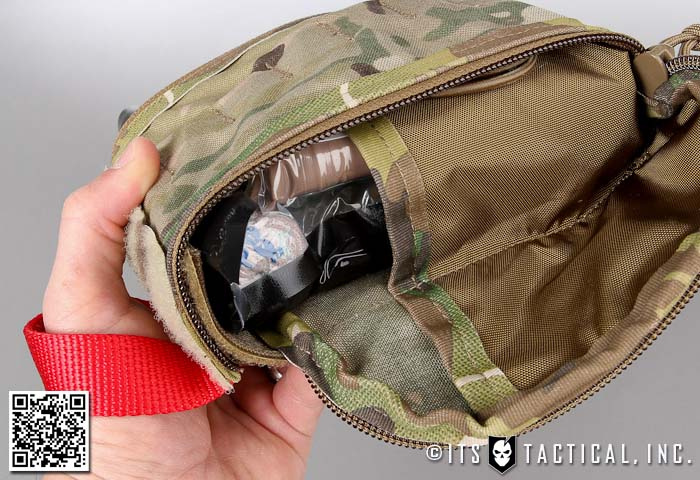 The ITS Tactical ETA Trauma Kit Pouch was born out of the necessity in developing both a pouch that could hold our Vacuum Sealed ETA Trauma Kit, as well as the individual components of the kit if the end user needs to break the seal, or wants faster access to certain items. We worked with Zulu Nylon Gear for nearly a year to design what we feel is one of the best medical pouches on the market today. With a simple pull on the red handle, the pouch quickly filets open to provide immediate access to your medical components without delay. The main rear-most pocket of the ETA Trauma Kit Pouch provides space large enough to fit our Vacuum Sealed ETA Trauma Kit or a complement of other medical items. 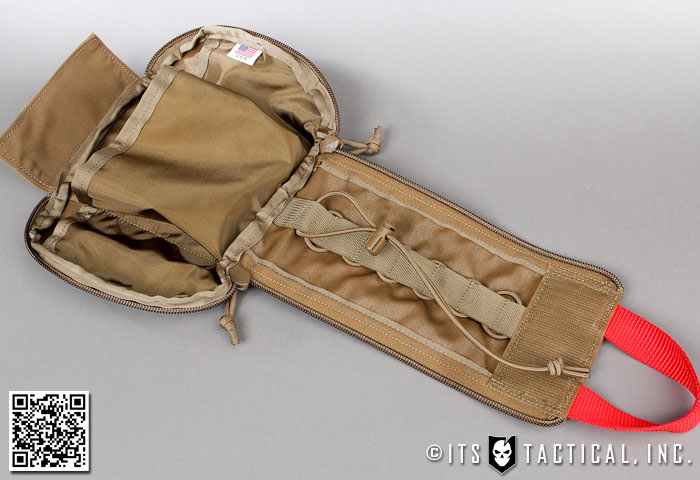 The two rear wing pockets are large enough to store Decompression Needles and NPAs or other Airway devices. The main flap panel design comes from our ITS Med Insert that’s included with our Discreet Messenger Bags and allows you to custom configure the shock cord loops to hold whatever you need it to. In the video shown below, we’ll show you exactly how we configure the individual components from out ETA Kits and show you the kit in action! The ETA Trauma Kit Pouch can also be expediently secured by simply pulling back up on the red handle and affixing the velcro when you have to quickly move out. 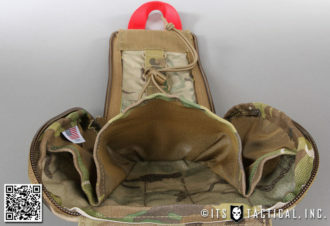 Trauma shears can be tucked behind the PALS/MOLLE mounting at the rear of the pouch or attached to the single channel of PALS/MOLLE that run on either side of the exterior of the wings. 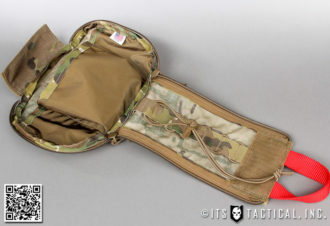 This channel can also be used to secure a tourniquet, tourniquet pouch, or rescue hook pouches. 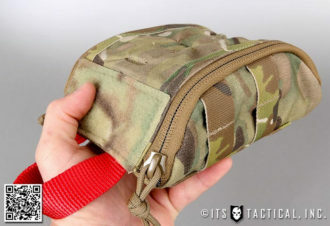 Something that we wanted when we designed this pouch was for all the items prone to wear to be user replaceable in the field. 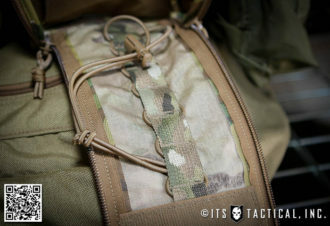 Rather than use elastic webbing, which is prone to stretching out, we used shock cord so that if for some reason it becomes worn or stretched out it can simply be replaced and not have to be sent back in to get elastic webbing retention re-sewn. 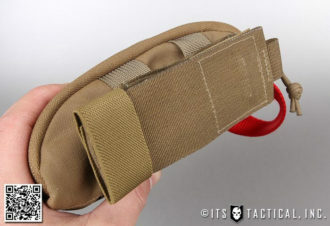 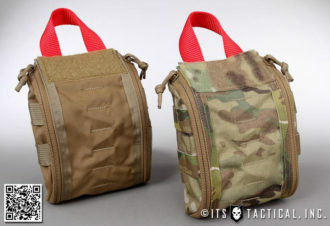 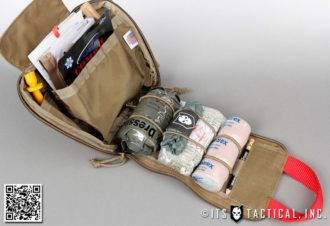 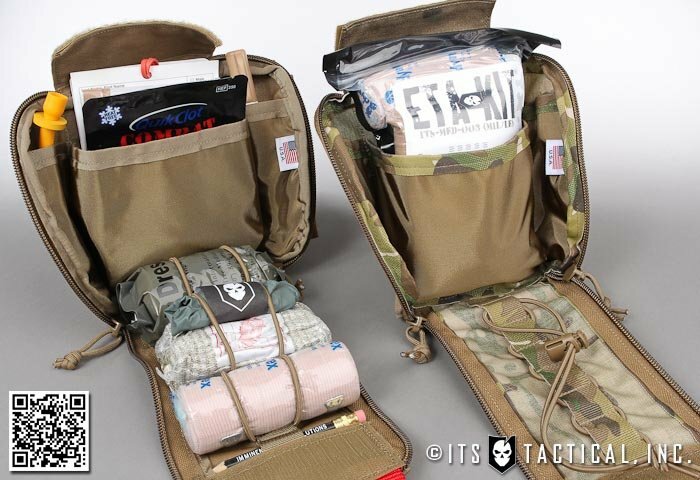 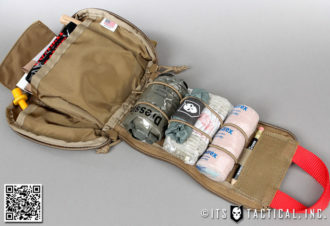 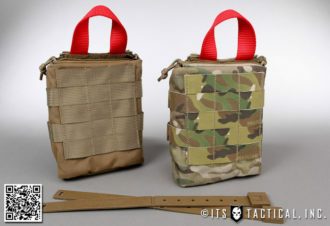 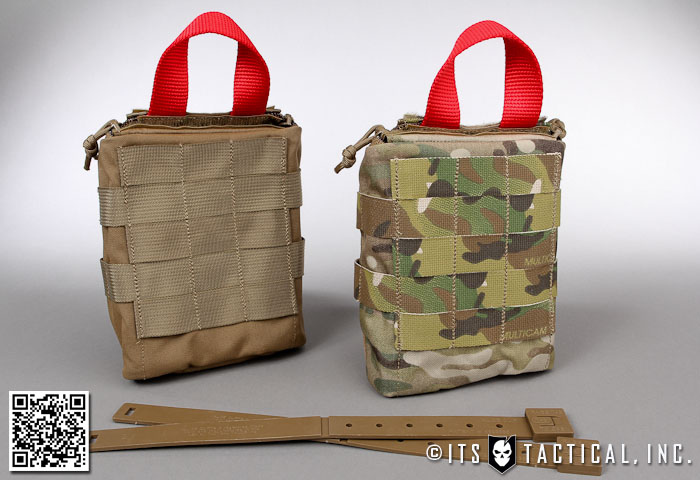 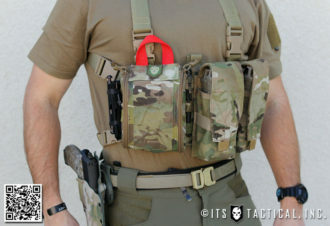 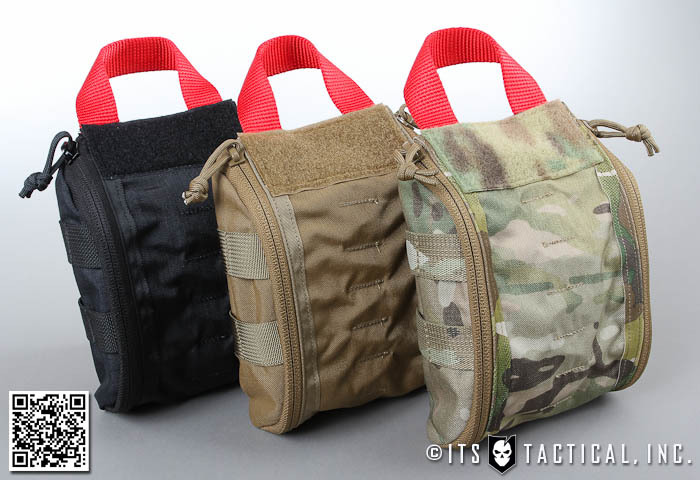 We’re also not only using MALICE Clips from Tactical Tailor as a means to secure the pouch to PALS/MOLLE, but we include two of them with every pouch unlike some of the other gear you might have purchased. 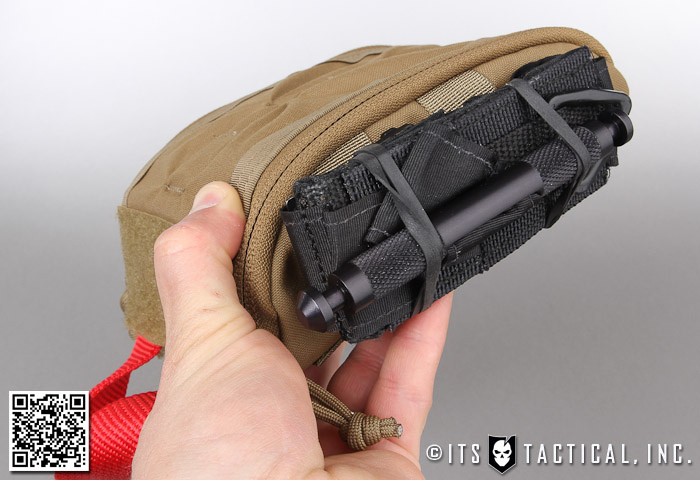 MALICE Clips are dependable and Tactical Tailor recently stated in a shop tour video that they’d only had 2-3 come back for warranty in the years they’ve been making them. Everything in this pouch from the materials, craftsmanship, labor and MALICE Clips is 100% Made in the USA by Americans and Berry Amendment Compliant. 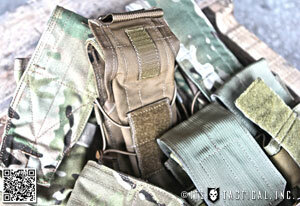 Available in Coyote Brown and MultiCam with Color Matched Webbing and Velcro. 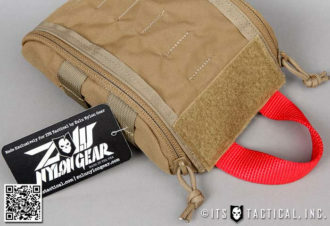 Also check out the Haley Strategic Partners ETA Trauma Kit Pouch Sneak Peek Review and YouTube Video! 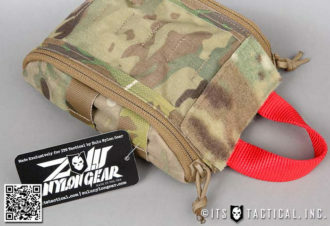 Thanks for the great review guys! 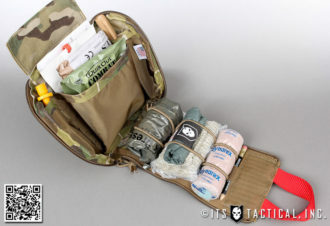 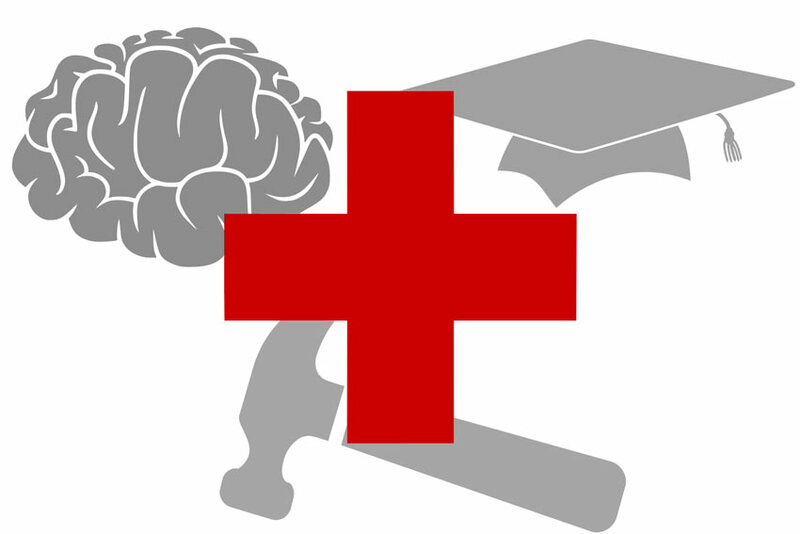 Order your ETA Trauma Kit Pouch here TODAY! 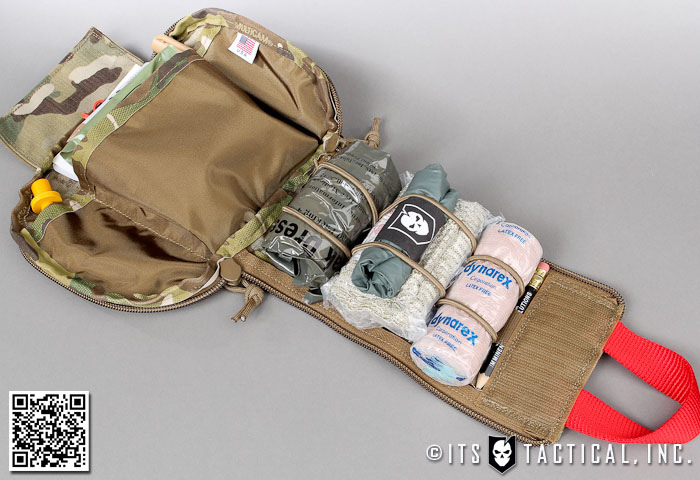 Threeper T-Shirts, ITS Field Notes and a Blow Out SALE Today at ITS!